Sometimes, you try a new craft technique, and it clicks on the very first try. It feels like you've been doing it forever. You hardly have to think about what you're doing... everything just clicks into place. And when that happens, especially if that happens more than once, we think that is the way things are supposed to be. That everything should always be easy. But easy doesn't always mean good. 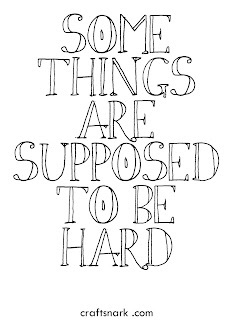 Sometimes, hard is good. When a project really challenges you, the sense of accomplishment you feel at the end is SO much better. When something is difficult, and you take the time to master it, you gain the respect and recognition of your peers in a way that you wouldn't if you stuck with simple, fast, and easy. 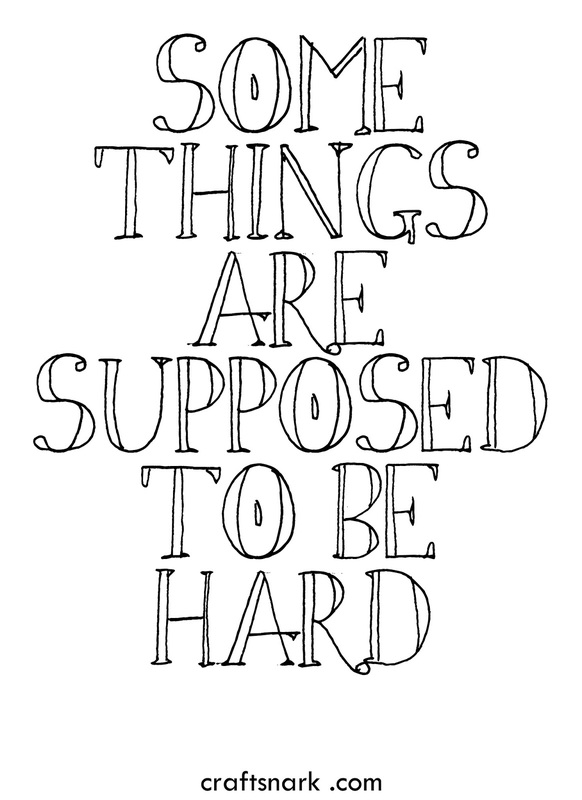 Some things are supposed to be hard. So get your mind out of the gutter and try something difficult. Try something that scares you. Give it a shot. Completely screw it up. Then try again. And again. Because "hard" doesn't have to mean "not worth it."